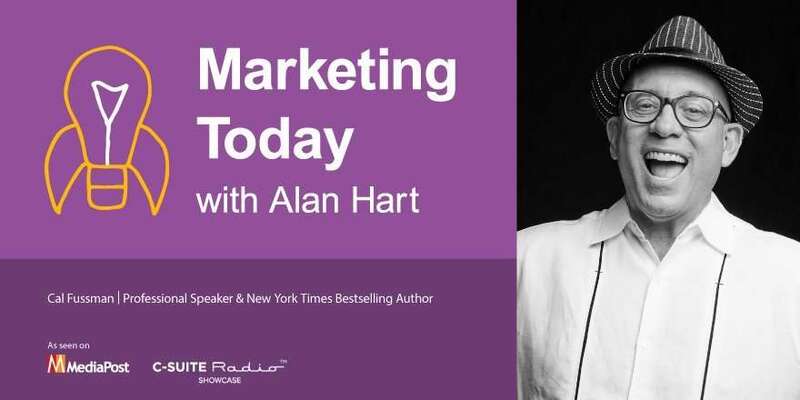 This week’s “Marketing Today,” is an untraditional episode, but it’s packed with insight, humor, compassion, and, yes, a marketing lesson or two. Alan sat down to talk with Cal Fussman, journalist, best-selling author, and writer at large for Esquire — where he has served as lead interviewer for the magazine’s notable “What I’ve Learned” series. During the course of his career, he has interviewed and written about famous people from Jimmy Carter, Mikhail Gorbachev, and Ted Kennedy to Jack Welch, Al Pacino, and Muhammad Ali, as well as countless others. His personal essay, “Cocktails Before the Collapse,” written about his time as a sommelier at Windows on the World, the restaurant that sat perched atop the World Trade Center, won a James Beard Foundation Award in 2012.